The new Tama drum kit Silver Star offers quality and sound at an affordable price many of the characteristics of drum sets higher price ranges. By using proven methods and materials, TAMA has created a tool best possible quality for the drummer. Boiler from 100% birch, triple flanged hoops, the new star-mount system and the sliding tom drum set to make this versatile tool for any drummer. The extensive selection of single drums and set configurations, allowing a virtually unlimited palette of sounds, see what everybody has their own sound. 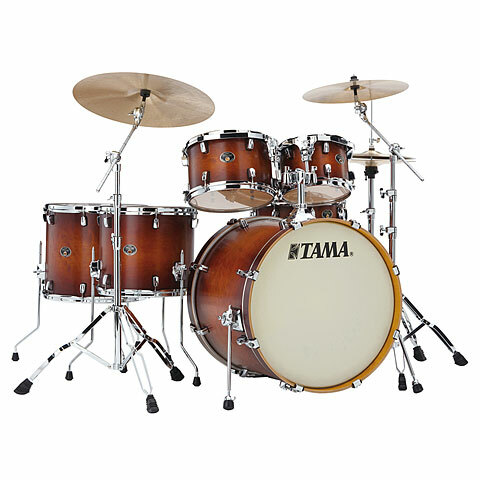 TAMA Drums Silver Star offer such a successful blend of tradition and the best quality at an unbeatable price-performance ratio - everything will find a drummer for his instrument.